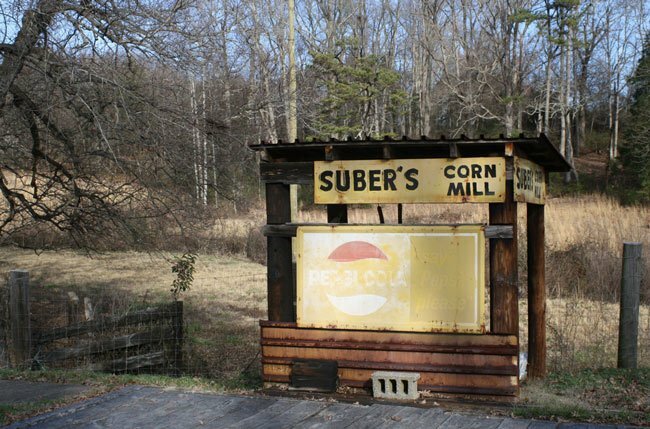 Suber’s Corn Mill, located in Greer, has been owned and operated by the same family since 1908. However, Subers have been been operating mills near the present site since before the Civil War. James A. Suber established a sawmill and whiskey still near this location on a branch of the Enoree River called Princess Creek prior to the war. 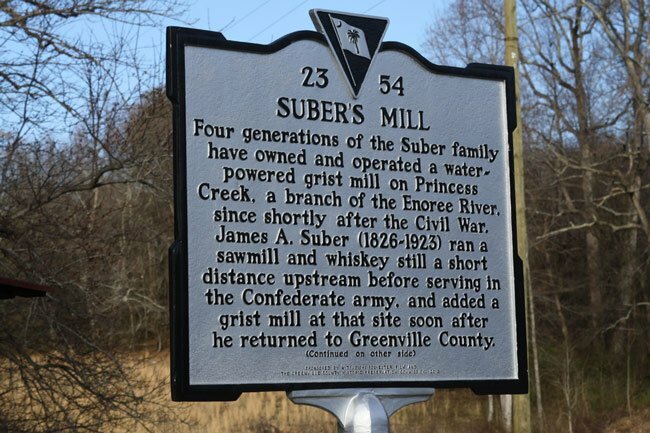 Suber then served in the Confederate army and added a gristmill to his complex upon his return from the war. 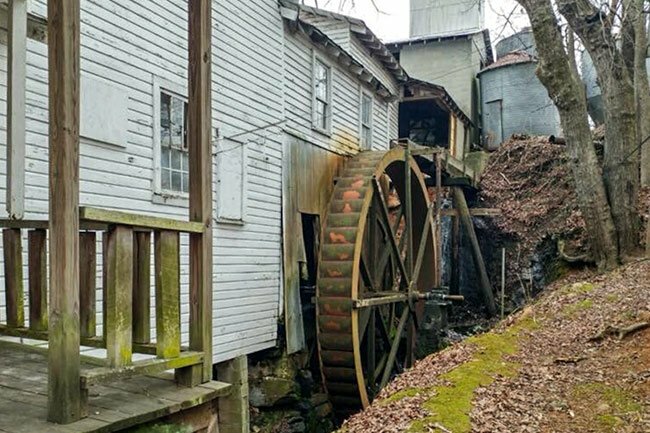 Suber’s son, Walter H. Suber, succeeded his father in running the business and built this gristmill around 1908. The same mill has been grinding corn for over 100 years by four generations of Subers. The corn that is processed here is turned into cornmeal, grits, and animal feed and is sold locally. Not much has changed at Suber’s Mill since its doors opened. The buildings are original, and the mill uses water power to grind the cornmeal before being packaged and weighed by hand. Subre’s Mill is open on Mondays from 8:00 a.m. until 5:00 p.m. 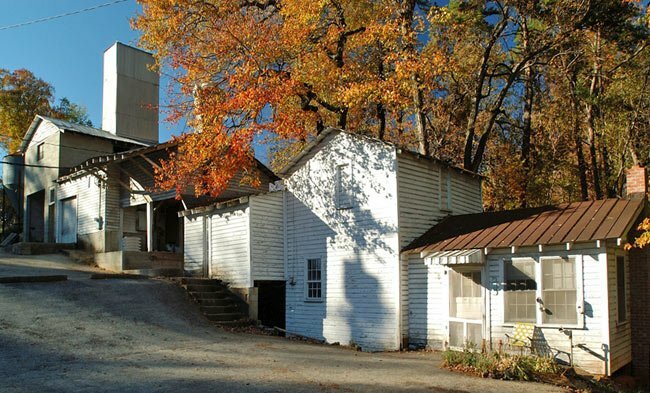 Visitors are invited to see the mill and learn how cornmeal has been processed along the creek for more than a century. I want to grind some flour and spices. Will you grind it for me please? In the late 1940s I went with my dad to have some of his corn ground. On an occasion I still stop by and get me some good ole GRITS if he has any available. It’s hard for him to keep them in stock. We used suber mill to buy our chicken feed for several years . When i restock my flock i will go there again. Very nice people and most helpful. We enjoyed a pleasant morning chat with the miller and his wife and took home some amazing cornmeal and grits. Not only supporting a local establishment, but the grits and meal were simply delicious! Greer, SC 29650 – 864-877-5616. Hope this helps, and good luck! I am from Greenville and now live in Florida. Do you ship products? Also, do you have a cookbook using cornmeal?